Compatibility Note: iGlasses is not compatible FaceTime or Photo Booth in Apple's macOS 10.14 (Mojave). to achieve your perfect webcam look. Lighting not working for you? No problem. 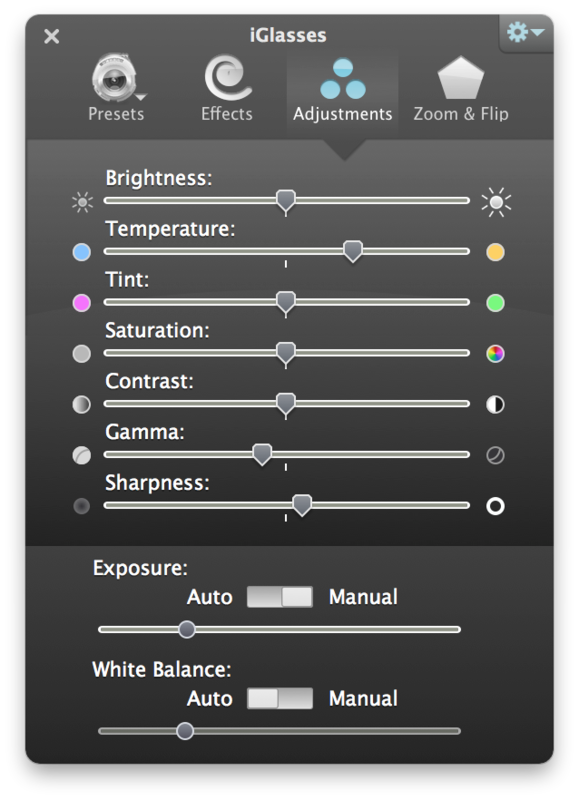 From brightening adjustments and color corrections to fun effects and 3-D distortions, all with HD quality. Other video enhancement add-ons only show up in certain apps. iGlasses works with Messages, FaceTime, Skype and web chat apps like Google Talk and Facebook video. 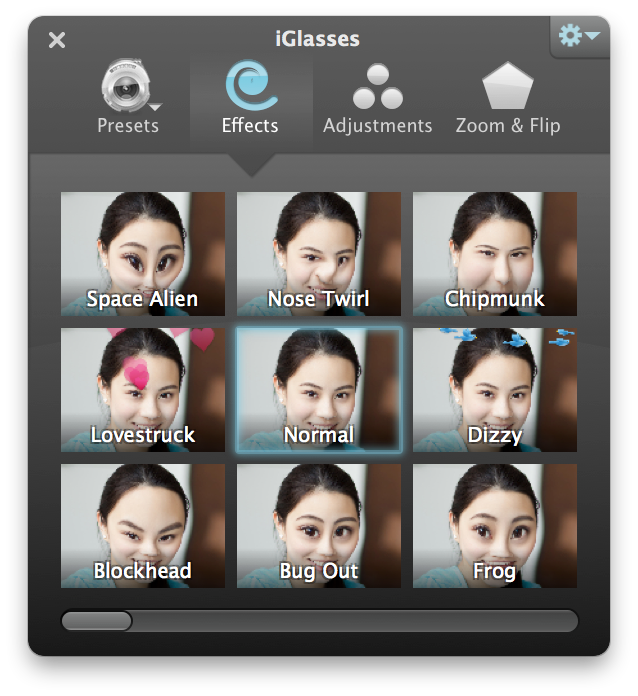 iGlasses boasts over 50 effects and styles to get you webcam ready, including face tracking and 3-D effects. Digital pan and zoom controls give any webcam the ability to zoom in for a tighter shot.